BAseball Reality Tour: 2016 Hall of Fame "Ballot"
2016 Hall of Fame "Ballot"
The BBWAA will announce the players they elected to the Hall of Fame at 6pm ET tomorrow. Let's get our faux ballot on the record before it's too late. Since we started doing this six years ago, below is a list of the players who've received our vote, including how many times in parenthesis. After learning who was elected a year ago, we pretty quickly figured that our 2016 ballot would include Griffey, Bagwell, Raines, Edgar, Piazza, Schilling, Trammell, Walker, Mussina and Sheffield. Over the past couple of months, a few factors have us reconsidering that reaction. Please keep in mind, we aren't trying to take ourselves too seriously. This is just a fun exercise to see what we would do if we had the vote, and give us a track record to look back on in the future. *heck, we use the royal "we" as a tip of the cap to The Big Lebowski. Back to what made us reconsider our ballot... As a fan, we've softened our stance against penalizing PED users. Yet, we would still like to withhold votes from Bonds and Clemens because they were a couple of SOB's who don't deserve additional honors. The character / sportsmanship clause in the BBWAA voting guidelines may also affect our vote for Curt Schilling, who has gone out of his way this past year to show that he is a loudmouthed bigot. Another trend that we can buy into is voting with game theory, wherein we would vote for the players who could use the vote most. These would be the players who we think are deserving and will be closest to either the 75% of votes they need to be elected or the 5% needed to remain on the ballot. We didn't go all-in on this strategy this year because game theory may lead to a boring ballot, where less than ten candidates actually need meaningful support. Reviewing the public ballots curated by Ryan Thibs suggests that only Jeff Bagwell and Tim Raines could fall just shy of 75%, while Larry Walker, Gary Sheffield, and (if you're inclined) Billy Wagner, Sammy Sosa, Nomar Garciaparra, and Jim Edmonds need the help to get over 5%. That's an 8-person ballot that we would not want to submit. There is an argument to be made that it helps to build momentum and get some players over 50%, so they can get more serious consideration in the future. That could be where our voting mindset is headed in the future, as the backlog of qualified candidates remains in the teens. That's the only way a reasonable voter could leave someone like Ken Griffey, Jr. off their ballot. Reviewing our last six "ballots" the only players who were inducted by the BBWAA that we did not vote for were Tom Glavine and John Smoltz in 2014 and 2015, respectively. We probably would have eventually voted for Glavine, if not for the overcrowded ballot, but I don't think we would have gotten on the Smoltz bandwagon any time soon. The Smoltz narrative of being a great starter and a great closer is confusing because the only reason he became a closer was that he was recovering from injury and couldn't start any longer. Rewarding him for that makes no sense; relieving is easier than starting. If Mike Mussina had become a closer when leaving Baltimore halfway through his career, he could have racked up 200 Wins and 200 Saves and sailed in to Cooperstown even though it would have been less valuable than the 1,500+ innings he gave the Yankees as a starter. We've voted for ten candidates every year, except 2010 (our first year) and 2012. The past couple of years, it's been impossible to vote for all deserving candidates. Our decision on Fred McGriff has vacillated from Yes in 2010, 2011, and 2013, to No in 2012, 2014, and 2015. Let's now take a stroll through this year's ballot to consider who would get our vote. There are thirty-two players on the 2016 ballot, fifteen of them appearing on the ballot for the first time. Of those fifteen, we believe only two of them actually deserve any consideration. The first one is Ken Griffey Jr, who we know will receive a check mark on close to 95% of submitted ballots. The other is Jim Edmonds. While he is worthy of further consideration, and probably even worthy of induction, we won't shed any tears for him if he's bumped off the ballot this year. He was an unlikable crybaby during his career. When it's difficult to narrow down the contenders to ten players, we're only voting for guys we liked. We are claerly taking a stand against relief pitchers in the Hall of Fame. Trevor Hoffman and Billy Wagner will not receive a faux vote from BAseball Reality Tour this year. Hoffman is probably going to end up on close to 60-65% of ballots this year, and it's absolutely mind numbing to think that 600 career saves could make that possible when other numbers show he wasn't as good as Wagner and not nearly as productive as starters on this ballot, namely Mussina and Schilling, who will receive less support. On this year’s ballot, you have starter Mike Mussina and closer Trevor Hoffman. There is no doubt Hoffman will get much more support. But, if the two switched roles, who would have the better chance of success? Is there even a question? It’s not hard to imagine Mike Mussina having Trevor Hoffman’s career. It is all but impossible to imagine Hoffman having Mike Mussina’s career. For the sake of much-needed brevity, let's go rapid fire through the players we can quickly eliminate from serious consideration. By all accounts, Garret Anderson was a nice guy and a good teammate who had a fantastic career. Spending fifteen of his seventeen Major League seasons with the Angels, he hit over 500 doubles, and was a lifetime .293 hitter. Unfortunately, for him, he needed a couple hundred of those doubles to get over the wall to approach Cooperstown. For a school with strong academics, Dartmouth College has a decent lineage of big leagues that started with Lee Viau in 1888 and also includes Jim Beattie, Mike Remlinger, and today's Kyle Hendricks. Ausmus parlayed his long career into a quick managerial gig in Detroit. He'll be one-and-done with regards to Hall of Fame voting. Compared to all players on this ballot, he is last in Baseball-Reference's version of WAR. Plus, among all Catchers in the Hall of Fame or on the ballot, he ranks last in WAR, WAA (Wins Above Average), and RE24. A good contact hitter with speed and no power, Castillo batted over .300 seven times in his career and led the league in stolen bases twice. National League fans in New York remember him for dropping a crucial infield popup. Around these parts, we will remember him as the guy who hit the foul ball that Bartman shouldn't have touched. The Red Sox shortstop won Rookie of the Year in 1997 and had a Hall of Fame caliber run through the next four seasons. 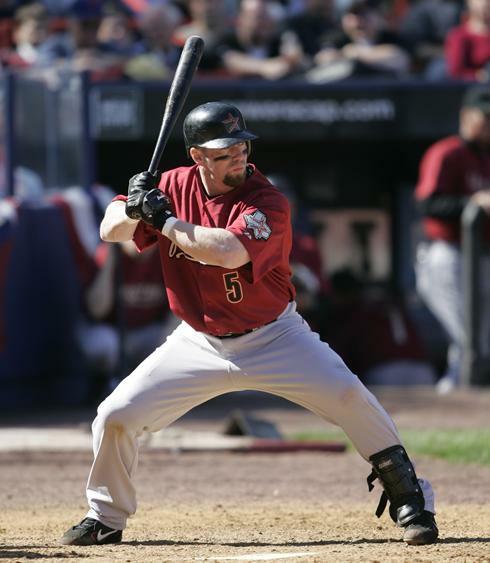 Injuries sapped him of his power and playing time later in his career, but his lifetime .313 batting average ties him with Larry Walker for the highest on this year's ballot. Similar to Nomar, Troy Glaus got started at a Hall of Fame pace. In his first four full seasons, Glaus cranked 147 home runs and won World Series MVP while getting a ring for the 2002 Angels. Injuries also took their toll on Glaus, and even though he had a few other good years, he retired with 320 homers after his Age 32 season. Grudzi was a "professional hitter" who had a little more power than Castillo, but still never muscled up more than 13 homers in a season. He stayed in great shape and played until he was 40. He's one of the last links to the great Expos of Montreal, and I'm sure it's an honor for him to just be named on the ballot. Best known for being a good hitter and signing a huge contract with Colorado that didn't pay off for the Rockies, Mike Hampton truly could be inducted in a Hitting Pitchers Hall of Fame. Mike Hampton has been the best hitting pitcher of our time. Since Jackie Robinson integrated Major League Baseball in 1947, only Don Newcombe had a higher On-Base Percentage, among all pitchers with at least 800 plate appearances, than Hampton's .293 OBP. Sorry, but being a Saves compiler is even worse than a Hits compiler in our opinion. 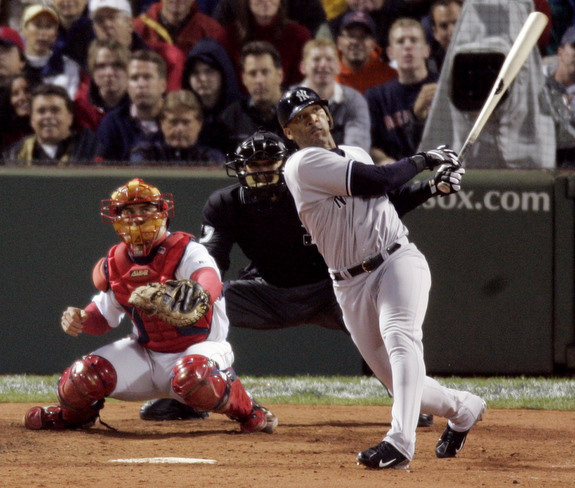 Slightly related tangent - Mariano Rivera deserves to be in the Hall of Fame. He delivered about twice as much value in his career as Trevor Hoffman, Billy Wagner, or any of the closers that are already in the Hall. Mariano should be the standard, and we don't think any relief pitcher belongs in the conversation unless they have regular season numbers that approach Rivera's. A twitter back and forth with a good friend and fan of the Yankees and relievers in the Hall of Fame led us to drawing up the following baseline for relievers to get into Cooperstown: a minimum of 1,200 ip, 40 WAR, 200 ERA+ and a maximum 2.50 RA9, 3.00 FIP, 50 ERA-. 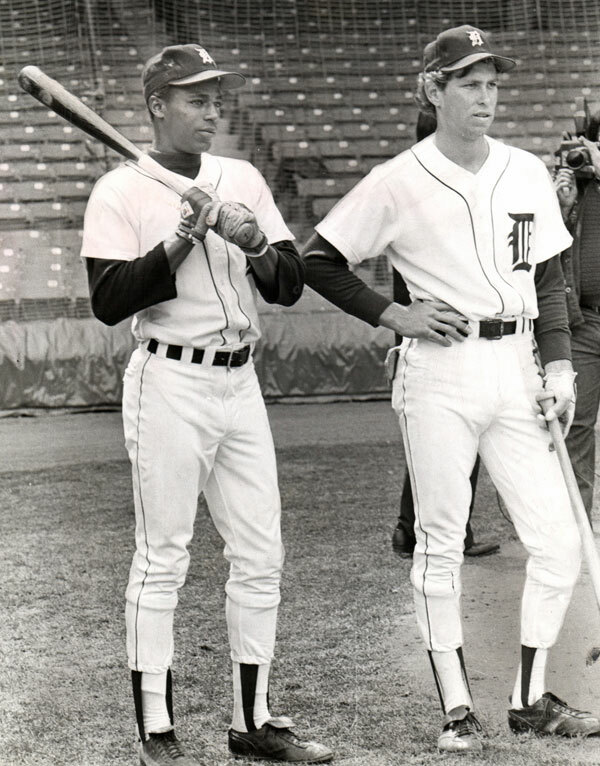 Lowell enjoyed a decorated career, named to the All Star team four times, winning one Gold Glove, a Silver Slugger, two World Series championships, and one World Series MVP. His .805 career OPS is impressive (even higher than Brooks Robinson's), but his career wasn't long enough to get the counting stats needed for the Hall of Fame. It's sort of interesting that the teamed up with Josh Beckett to win the World Series for the Marlins in 2003 and the Red Sox in 2007, with Beckett winning World Series MVP the first time around and Lowell winning it for Boston. As a Cubs' fan of a certain age, Lee Smith was the first closer for whom we ever rooted. He was not a Hall of Famer. He may have "saved" a lot of games in his 18-year career, but he also allowed a lot of baserunners. By all accounts, Sweeney is one of the nicest people to ever play Major League Baseball. (Can he be much nicer than Garret Anderson?) Sweeney played a lot of first base and DH, mostly for the Royals, retired with 325 doubles, 215 home runs, and an .851 career OPS. He was a class act, but not a hall of famer. If one relief pitcher on this ballot would get our vote, it would be Billy Wagner. He was a much better pitcher than Trevor Hoffman or Lee Smith. 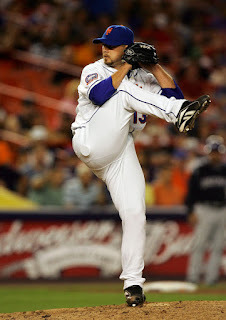 His last season was very good, and he could have continued his career to compile a larger number of Saves. That presumably just wasn't something that drove the man. Joe Posnanski made another great point about Wagner vs Hoffman in his post linked above, in case you have yet to read it. Probably the least decorated of all candidates on this ballot, Randy Winn was a switch-hitting outfielder who finished with over 500 extra base hits, but he played for thirteen years and never made the postseason. The best thing we can say about Randy Winn, as a player, is that he was a good defender. In 2004, he led the American League in putouts by an outfielder, and in 2005, he led the AL in Range Factor/Game as LF and Range Factor/9Inn as LF. We need to eliminate at least seven names. As mentioned before, Bonds and Clemens are out for being poor sports. Same with that sourpuss, Jim Edmonds*. 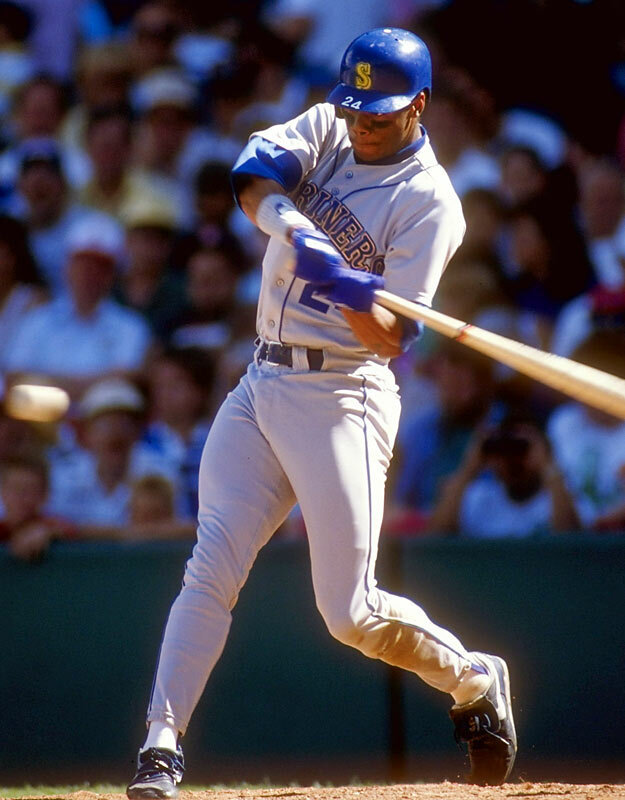 Player A is Ken Griffey, Jr. Player B is Jim Edmonds. These numbers don't tell the entire stories of their careers, but they do shine the light on the fact that Jim Edmonds deserves at least a second look. McGwire is not going to be on our ballot. It's not because of steroids, but rather because he was never that great of a complete player. He wasn't even that good of a pure hitter. His 1,626 hits place him 20th out of 32 on this year's Hall of Fame ballot, in between Nomar Garciaparra and Mike Lowell. Sammy Sosa again will not gain our vote. 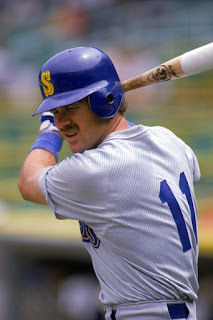 He, similarly to McGwire was not a very good all around player. Sure, he had some speed and a strong arm, but his erratic throwing and poor base running hurt his teams. Early in his career, he couldn't hit a breaking ball at all. Kudos to Sammy on becoming a better hitter later in his career, learning to occasionally lay off or wait back on breaking pitches. Unfortunately, he was a one trick pony. He hit lots of home runs, probably while on PED's, definitely hit some with a corked bat, and he had a propensity for hitting home runs when the Cubs were either up by a lot or down by a lot. That was his reputation when he played with the Cubs, and the numbers reflect the story. Fangraphs has a stat called "Clutch", which is defined as: "How much better or worse a player does in high leverage situations than he would have done in a context neutral environment". Where does that leave us? We need to lose two more names from the dozen below. Let's decide on which players will definitely get a vote. Those are Bagwell, Edgar, Raines, Trammell, and Walker. Let's also give one to Griffey. This is our only chance to vote for him, and we're going to take it. We are also going to vote for Piazza and Mussina. We have two spots left and four names remaining. Gary Sheffield was a feared batter. Kent is out because, just like Bonds, Clemens, and Edmonds, he was a jerk. Many have said that Gary Sheffield was a selfish pain in the neck most of his career, but he never bothered us. 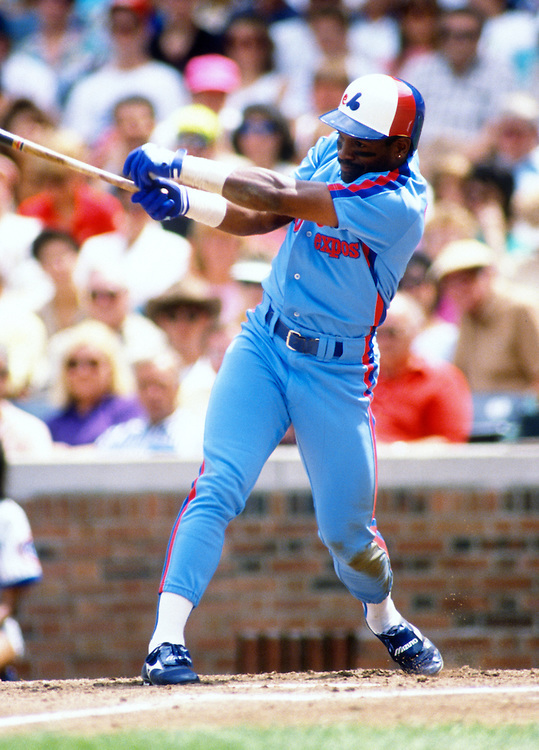 This guy had some serious bat speed and ability to hit anyone's best pitches. We consider him one of the best hitters of the past 25 years and will gladly vote for him after there was no room on our ballot for him last year. Schilling is out, too. He can take his politics elsewhere. The Crime Dog is back on our ballot for the first time since 2013. Therefore, our final list of ten isn't as far off as we expected 51 weeks ago. The only difference is that we replaced Schilling with McGriff. Next year might be a different story. Schilling could spend the next 53 weeks rehabilitating his reputation. His on-field performance is without question worthy of Hall of Fame honors. Lastly, new blood will be on the ballot and deserving of consideration, most notably: Ivan Rodriguez, Manny Ramirez, and Vladimir Guerrero. That should be interesting, and the three of them can slide into the slots of the three who will likely be elected this year: Griffey, Piazza, and Bagwell. We expect Raines to make it in 2017, and unless Bonds and Clemens really start to gain votes from the electorate, Raines might be the only BBWAA selection next year. If you've made it this far, thank you. You're probably friends or family. Please let us know how your thoughts, where we may be misguided, and how your ballot may differ - either on social media or in the comments section below. Happy New Year.